If you choose to hire someone to perform a radon test, hire only a qualified individual. A Certified Measurement Professional with either the National Radon Proficiency Program (AARST-NRPP) or the National Radon Safety Board (NRSB) ensures that the individual has been properly trained to adhere to the strict testing procedures set forth by the Environmental Protection Agency (EPA). The Radon Specialist uses Radelec’s E-Perm Radon Testing Equipment. These Passive devices are among the highest quality most accurate short or long term devices availible for Professional Radon Technicians. When choosing radon detectors the lowest price may not be your best choice. The level of service, accuracy of detectors, expertise and advice can vary considerably from different suppliers of radon detectors and measurement services. Testing your home for radon to ensure the air you breathe is safe for you and your family is important to us and we strive to provide the highest quality of service. 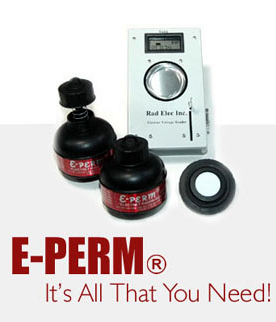 Rad Elec E-perms are recognized worldwide as the gold standard for accurate and reliable radon testing results. They are known as true integrators because they are constantly collecting and registering the ions generated by the radon decaying inside the chamber. Rad Elec electret ion chamber technology consistently outperformed all other radon testing methods in the USEPA Radon Measurement Proficiency Program. An E-PERM®, also known as an Electret Ion Chamber (EIC), is a passive integrating ionization monitor consisting of a very stable electret mounted inside a small chamber made of electrically conducting plastic. The electret, a charged Teflon® disk, serves as both the source for ion collection and as the integrating ion sensor. Negative ions produced inside the chamber are collected on the positively charged electret, causing a reduction of its surface charge. The measurement of the depleted charge during the exposure period is a measure of integrated ionization during the measurement period. The electret charge is read before and after the exposure using a specially built non-contact electret voltage reader referred to as the SPER-1 Electret Voltage Reader. Using this data as input to the appropriate formula, one can determine the radon activity present over the duration of the test. The basic components of the E-PERM® System consist of the electret reader, chambers, and electrets. There are chambers of different sizes and electrets of different sensitivities to meet a wide range of monitoring situations. Typically, a more sensitive electret, referred to as an ST Electret, is used for short-term measurements, and an LT, or less sensitive electret, is used for longer term measurements. They are known as “true integrators” because they are constantly collecting and “registering” the ions generated by the radon decaying inside the chamber. Model 1028 – Reliable. Accurate. Efficient. 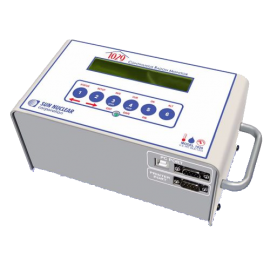 The Model 1028 Continuous Radon Monitor (CRM) is intelligently designed to be fully programmable by the user. 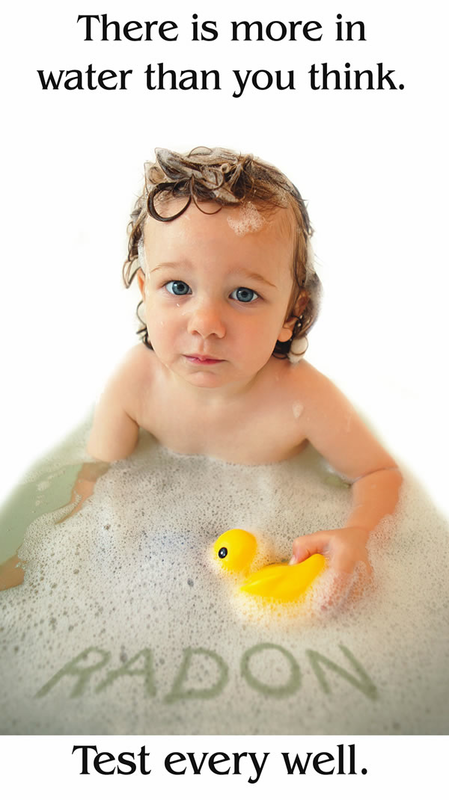 Its patented electronic detection device for measuring radon gas has been used commercially since 1986. The Sun Nuclear Corporation Model 1028 is AARST-NRPP listed (CR-228) and NRSB listed (31821) for use in real estate transaction testing.